Australia-based Kenyan singer Ninny Zerah has taken shots at Anerlisa Muigai for taking Kenyans for a ride. The songbird, who is currently in the country, exposed Anerlisa’s whom she claims has lied about several things. In an interview with Ghafla! Ninny Zerah said that Anerlisa is a pathological liar that she doesn’t even think she owns Nero Water company. “There is this water thing she does, kudos to her and the executive water…There is so much to it men. Are you sure she owns it or she she’s not a brand ambassador?” Ninny Zerah said. 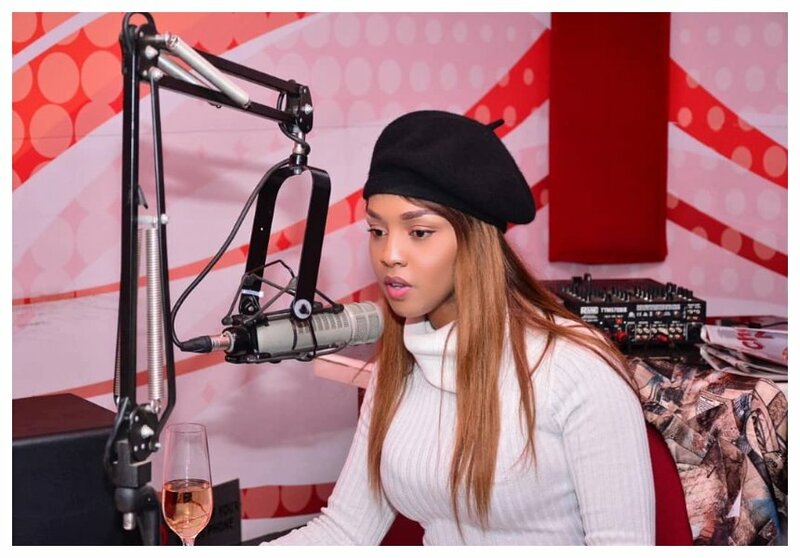 Ninny asserts that Anerlisa Muigai lied about her weight loss. She says that the Keroche heiress claims she lost weight through physical exercise yet she had Gastric bypass surgery. Gastric bypass is surgery that helps you lose weight by changing how your stomach and small intestine handle the food you eat. After the surgery, your stomach will be smaller. You will feel full with less food. The food you eat will no longer go into some parts of your stomach and small intestine that absorb food [sic]. “Poor Kenyans, why would someone lie to you that they went to the gym that’s why they lost weight and they know they have this gastric balloon that’s how they have lost. You know it’s really sad that we’ve gotten to that, people do anything they use poor people to exalt themselves, I hate that because once a upon a time I never used to have money and I knows how it feels. You know when you use someone’s desperation to exalt yourself, who does that?” Ninny Zerah lamented.